Back in December M and I went on an extended-weekend mini-break to visit Vienna and enjoy their lovely Christmas themed booths selling fruity wine and candy. Heaven. I absolutely love that sign. So fun! 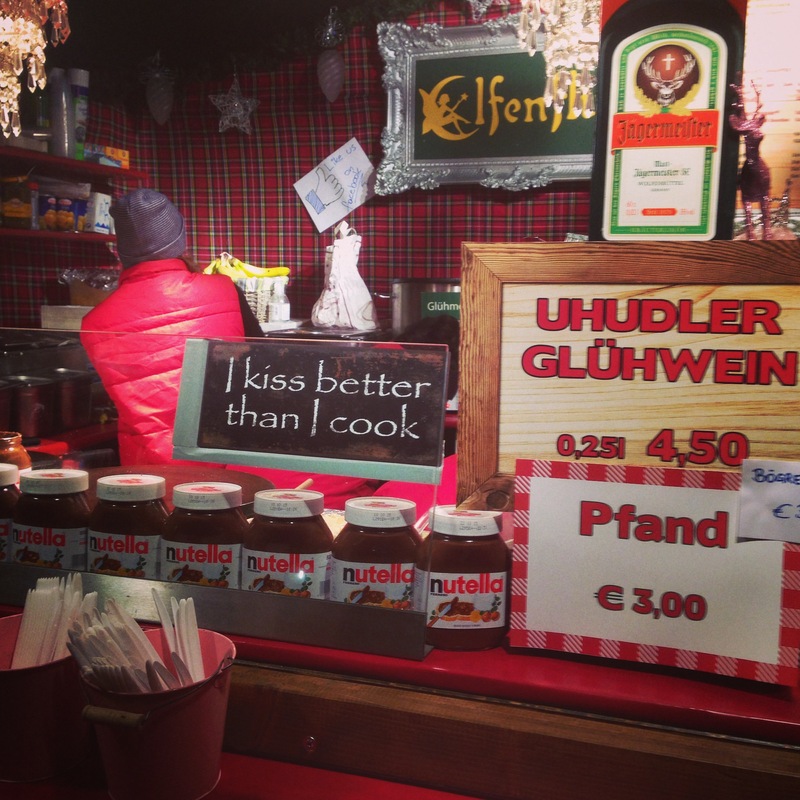 And nutella’s great too. 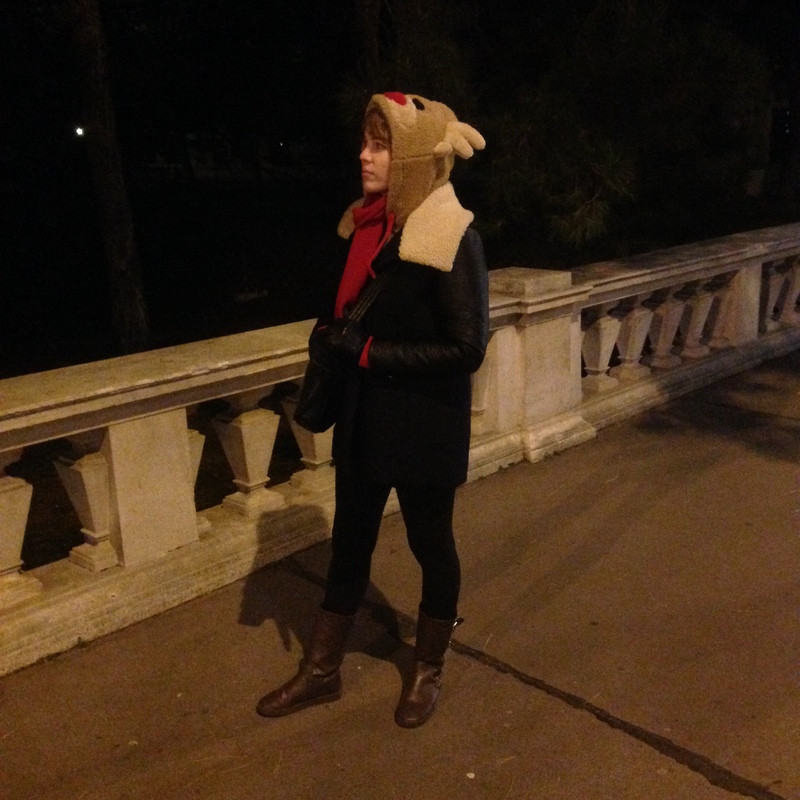 It was rather cold (mainly because I didn’t bring my warmest winter coat, stupid me) so I was glad I had my cozy reindeer sweatshirt.